There was no killer instinct in sight, but Sydney FC showed their still top dogs with a 2-0 win over Perth Glory at Allianz Arena. 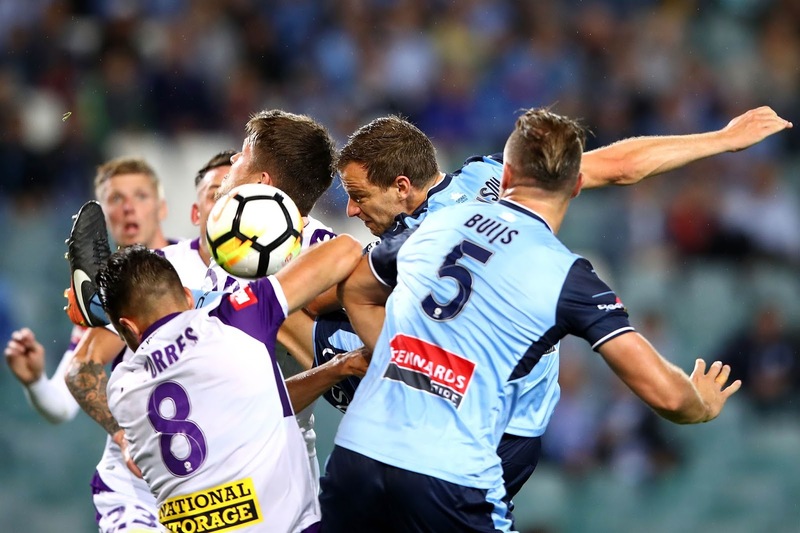 Perth’s shaky defence conceded three penalties to gift Sydney the three points – with Bobo scoring and missing one before Mierzejewski slotted the last to put the game to bed. Sydney roared out of the blocks and dominated the first half with Bobo notching his fourth of the season at the second time of asking, while Jordy Buijs and Luke Wilkshire forced Liam Reddy into a string of fantastic saves. But the real villain of this anti-climactic story was the Video Assistant Referee (VAR), with the experts in the truck - not for the first time this season - garnering criticism for causing a three minute delay before Bobo's second penalty. Perth's Joseph Mills had been penalised for handball, only a few minutes after he'd conceded another penalty on David Carney that Bobo had missed, but before the Brazilian could redeem himself, in stepped the VAR. After an awkward spell that must have felt like an age for Sydney's striker, the VAR ended up leaving the decision to referee Stebre Delovski, who unsurprisingly retained the spot kick. The Sky Blues then struggled to put Perth out of their misery, which almost led to an unlikely comeback when Adam Taggart forced a clinical save from Andrew Redmayne on the 92nd minute. But Sydney finished the contest by showing why their counter attacks strike fear into opposition defences, bursting down field and causing another calamitous error at the back – this time at the foot of Xavi Torres – to earn yet another strike from the spot. Mierzejewski’s clincher rounded off a dominant display from the home side, but Graham Arnold still saw room for improvement. “We’ll get better and better, we’re still only functioning at half of what we could be. Milos Ninkovic was a deserving man of the match, but saw similar room for improvement to his gaffer. “I knew that Bobo would score,” he laughed. “Sometimes if you miss the first penalty there's more pressure on the second, but I knew he’d score.